Drifting from fiction to meditation on documentary, GREATEST HITS tells the story of Emilio, a man in his fifties who shows up at the family home after fifteen years of absence. His wife and his twenty-eight year old son receive him with bitterness and confusion. After a couple of days they decide to kick him out, only to find out that he has left on his own accord. Will the son try to reconnect with his father? 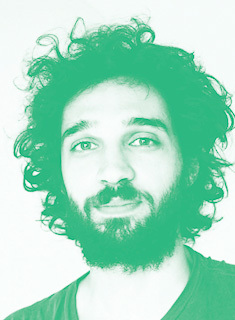 Nicolás Pereda is a Canadian citizen, born in Mexico City in 1982. He holds a Master of Arts in film directing from York University in Toronto. He has directed six features and one short film that have won awards in multiple festivals. He has made films and videos for interdisciplinary plays, operas and dance pieces that have been performed in Mexico, Asia and Europe. Peredaʼs cinema has been screened in the most prestigious film festivals including Cannes, Venice, Rotterdam, FIDMarseille, Viennale, and Edinburgh, garnering numerous awards.